In the legendary kingdom of Prydain, Coll, a sensible farmer, has settled down to care for his vegetables and animals. But when Hen Wen, his pig, is spirited off in the middle of the night by a mysterious band of horsemen, Coll has no choice but to go after her. 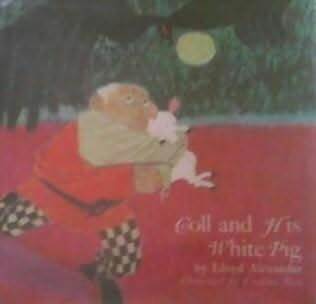 How Coll and his friends rescue Hen Wen from the ord of the Land of Death and prevent Hen Wen's mysterious oracular powers from being used for dark and evil purposes will intrigue young people.